Women or an-Nisāʼ (Arabic: النساء‎) is the fourth chapter (sūrah) of the Quran, with 176 verses (āyāt). The title derives from the numerous references to women throughout the chapter, including verses 34 and 127-130. It is a Medinan surah, as confirmed by Muhammad Husayn Tabataba'i, who states that the sura must have been revealed after the hijrah based on the subject matter. Although an-Nisā typically appears as the fourth sura, according to the Nöldeke classification of suras, based on Islamic traditions, "The Women" was approximately revealed as the hundredth sura. Amir-Ali places it as the 94th sura, while Hz. Osman and Ibn`Abbas believe it is the 92nd. Ja`fer es-Sadik places it as the 91st sura revealed. Based on the legislation concerning orphans, the sura was most likely revealed after many Muslims were killed at the Battle of Uhud, leaving numerous dependents in the new Muslim community. The revelation therefore began around the year three, according to the Islamic calendar, but was not completed until the year eight. Consequently, parts of this sura, the second longest in the Quran, were revealed concurrently with portions of "The Examined Woman," sura 60. However, the sura shows some thematic coherence, despite its disjointed and ongoing revelation. Furthermore, as relates to the placement of this sura within the Quran as a whole, Neal Robinson notes what he refers to as the "dovetailing" of suras. Based on this idea of structure, one sura ends with a topic that is immediately picked up in the next sura. The Family of 'Imran, sura 3, includes a discussion of male and female near the end of the sura (3.195). This theme continues at the beginning of sura 4: "People, be mindful of your Lord, who created you from a single soul, and from it created its mate, and from the pair of them spread countless men and women far and wide; be mindful of God, in whose name you make requests of one another." This dovetailing may indicate a complex editorial process involved in ordering the suras. Surah an-Nisā, is a chapter of the Quran regarding women. This Medinian sura aims at protecting the newly formed Muslim community by outlining acceptable behavior for Muslims. It illustrates the Quran's role as an authoritative legal source and its ability to shape the community. The sura aims to eradicate the earlier practices of pagan, Arab communities that are no longer considered moral in the Muslim society. For example, the section of this sura about dealing fairly with orphan girls (4:2-4) addresses the pre-Islamic Arabic practice of marrying orphan girls in order to take their property. Thematically, "an-Nisā" not only addresses concerns about women, but also discusses inheritance, marriage laws, how to deal with children and orphans, legal practices, jihād, relations between Muslim communities and People of the Book, war, and the role of Jesus as a prophet, rather than the son of God as Christians claimed. Furthermore, in discussing war, this sura encourages the Muslim community to fight for the vulnerable in war, as demonstrated by 4:75: "Why should you not fight in God's cause and for those oppressed men, women, and children who cry out, ‘Lord, rescue us from this town whose people are oppressors! By Your grace, give us a protector and give us a helper!’?" The sura addresses a multitude of issues faced by the early Muslim community and provides responses to the challenges the community faced. The wide variety of issues addressed in the sura and the length of the sura make it difficult to divide into literary structures. However, based on a study of themes present in each section of the sura, Amīn Ahsan Islāhī divides the sura into three thematically-based sections: social reform, the Islamic community and its opponents, and a conclusion. Mathias Zahniser presents an alternative means of looking at the structure of this sura. He claims that the central theme of this sura is the address to the Christians. He has come to this conclusion based on examination of the structure of the sura based on such devices as parallels, repetition, and ring composition. However, Carl Ernst admits that more works needs to be done in this type of structural analysis in order to more fully understand the composition of such extensive suras. In Qur'an and Woman, Amina Wadud places interpretations of the Quran into three categories: traditional, reactive, and holistic. The type of interpretation one applies to sura 4 greatly influences one's perspective on the role of women within Muslim society. Taking the third approach, a holistic approach, allows for a feminist reading of the Quran, which is particularly relevant in relation to an-Nisā and can reshape the understanding of this sura. 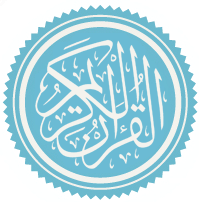 Muhammad ibn Sulayman recorded that al-Sadiq relayed to his elderly father, Abu Muhammad ibn Sulayman, concerning the following verse: "And whoever obeys Allah and the Messenger - those will be with the ones upon whom Allah has bestowed favor of the prophets, the steadfast affirmers of truth, the martyrs and the righteous. And excellent are those as companions." (4:69) stating, "The Messenger of Allah in this verse is from of the prophets, and we (Ahl al-Bayt) in this subject are the truthful and the martyrs and you all, (our followers), are the righteous, so adopt this name." ^ "The Meaning of the Glorious Qur'ân,: 4. an-Nisa': Women". Sacred-texts.com. Retrieved 2016-05-24. ^ a b Haleem, M. A. S. Abdel. The Qur'an. New York: Oxford University Press, 2008. Print. ^ “Tafsir Al-Mizan - An Exegesis of the Holy Quran by the Late Allamah Muhammad Hussain Tabatabai.” Web. 25 Nov. 2012. ^ Robinson, Neal. Discovering the Qur'an: A Contemporary Approach to a Veiled Text. London: SCM Press LTD, 1996. Print.77. ^ Robinson, Neal. Discovering the Qur'an: A Contemporary Approach to a Veiled Text. London: SCM Press LTD, 1996. Print. 80. ^ Tafsir Al-Mizan - An Exegesis of the Holy Quran by the Late Allamah Muhammad Hussain Tabatabai.” Web. 25 Nov. 2012. ^ a b c d Robinson, Neal. Discovering the Qur'an: A Contemporary Approach to a Veiled Text. London: SCM Press LTD, 1996. Print. 266. ^ Robinson, Neal. Discovering the Qur'an: A Contemporary Approach to a Veiled Text. London: SCM Press LTD, 1996. Print. 270. ^ Ernst, Carl W. How to Read the Qur'an : A New Guide, with Select Translations. Chapel Hill: The University of North Carolina Press, 2011. Ebook Library. Web. 25 Nov. 2012. ^ a b Haleem, M. A. S. Abdel. The Qur'an. New York: Oxford University Press, 2008. Print. 50. ^ Haleem, M. A. S. Abdel. The Qur'an. New York: Oxford University Press, 2008. Print. 57. ^ a b Ernst, Carl W. How to Read the Qur'an : A New Guide, with Select Translations. Chapel Hill: The University of North Carolina Press, 2011. Ebook Library. Web. 25 Nov. 2012. 190. ^ Wadud, Amina. Qur'an and Woman: Rereading the Sacred Texts from a Woman's Perspective. New York: Oxford University Press, 1999. Print. 1. ^ Wadud, Amina. Qur'an and Woman: Rereading the Sacred Texts from a Woman's Perspective. New York: Oxford University Press, 1999. Print. 3. This page was last edited on 10 March 2019, at 07:33 (UTC).